Vash here! I am a very handsome and stately 8-year-old gentleman with a big body and an even bigger personality! I am a very confident kitty and I just LOVE people — I’m usually the first person to greet anyone who stops by the Pixie cattery to say hello. When people leave, I will wait patiently by the glass and meow as if to say, “I’m here, come give me more pets!”. 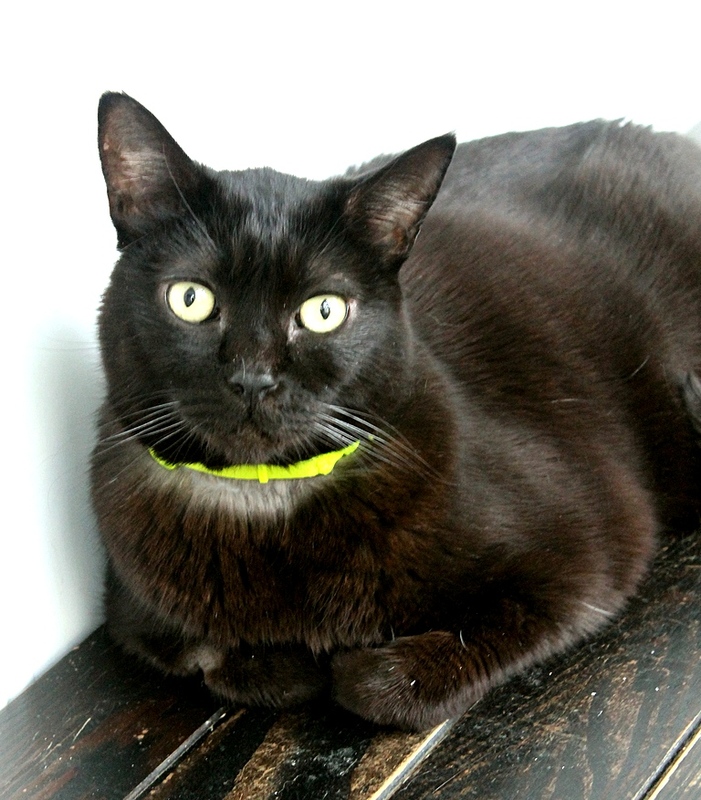 I have big, soulful yellow eyes and very shiny black fur — I’d say I’m quite handsome, wouldn’t you? I have lived inside around other cats my whole life, and do very well around them, but I also am a bit of an attention hog so being an only cat would be perfectly fine with me! Then I could have you all to myself! I don’t seem to be phased by much — kids, dogs, new people, — you name it! I’m just an all-around cool cat and am very low-maintenance. Pixie has already checked my bloodwork and will provide a dental for me, so my health is low-maintenance as well. I could stand to lose a few pounds… but I think my chubbiness adds to my charm! I think you’d fall in love with me pretty quick if we met — won’t you stop by? I can’t wait to meet you! I come to you fixed, vaccinated, and micro-chipped for an adoption fee of $100.